For Poland, 2019 will be an important year politically. Decisions that the Poles will make in May’s upcoming European parliamentary elections and, above all, the results of the Polish parliamentary elections (most likely to be held in October) will determine the Polish political landscape for many years to come. The right-wing, populist coalition, “The United Right,” consists of the large Law and Justice Party (PiS) together with two smaller parties, and was formed in 2015. It gained power, thanks to its “500+” program, a social benefit program in which 500 PLN (zloty) is paid monthly to all families for their second child and later children until they reach the age of majority. As a result, PiS received large public support in the provinces, where unemployment and low wages are growing problems. Domestically, PiS has departed from the principles of liberal democracy that characterized Polish politics since the fall of communism in 1989. Opposition in the parliament and on the street, NGOs and the privately-owned media have all accused the ruling government of violating Poland’s constitution and of politicizing those institutions which, in principle, should be independent of politics — the Constitutional Tribunal, the courts, the public media, and so on. Only the intervention of the EU prevented PiS from taking control of the Supreme Court. The only important state institution still independent of PiS, which defends the constitution and civil rights, is the Ombudsman. Even so, due to its public criticism of the government’s activities, the Office of the Ombudsman, currently filled by the respected Dr Adam Bodnar, has had its budgetary allocation heavily reduced. In practice, PiS understands that democratic governments can do what they want without regard to the opposition. The Sejm, the Polish parliament, has ceased to be a place of real political debate. The ruling coalition rapidly, and often with legal defects, pushes through Parliament all the regulations that it needs in order to centralize its power. Opposition MPs are not permitted to oppose the introduction of bad laws as, in the Sejm, their speech time is limited to 30 seconds. When proposed legislation is considered by parliamentary committees, opinions of opposition MPs are either not taken into account or are silenced. With the assistance of the parliamentary committees charged with investigating the “huge scandals” which supposedly occurred before PiS came to power, PiS is attempting to bring before the courts leaders of the largest opposition party — the Civic Platform (PO) — which held the government from 2007 to 2015. Despite great efforts toward this goal, nothing has been proven. Former Prime Minister Donald Tusk (currently president of the European Council) spectacularly refuted the charges against him and even discredited the members of the committee who were accusing him of wrongdoing. A special parliamentary sub-committee was also completely disgraced. 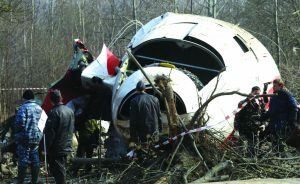 Its purpose was to prove that the tragic air accident which occurred in Smoleńsk, Russia, in April 2010, was in fact planned sabotage. But it has proved nothing. This air crash claimed the life of Polish President Lech Kaczyński and the lives of close to one hundred key government officials. Until recently, the former Defense Minister, Antoni Macierewicz, who managed the work of the Smoleńsk subcommittee, was a very influential PiS politician. Now he is kept away from current politics and deprived of any powers. Furthermore, incriminating material has come to light pointing to his connections with Russia. Due to PiS’s “Euro-skeptic” attitude over the last three years, Poland’s good relations with the EU have collapsed. The only Western partner with whom PiS wants to develop both military and political relations is the United States. 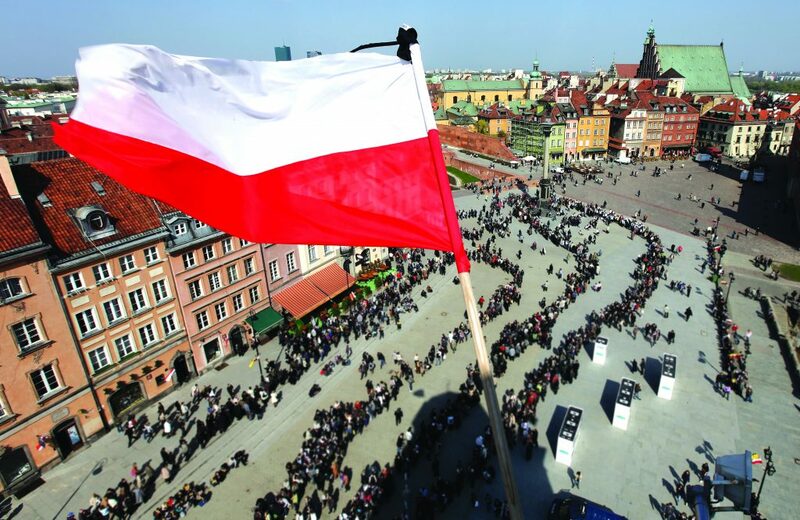 From its position as the strong Eastern European leader within the EU and a country that was a model of political and economic success, Poland is now on the margins of European politics. There is a growing fear among opponents of Poland’s current government that PiS’s unchallenged aversion to the EU will lead to a referendum that could mean a “Polexit” if the results are negative. The PiS government is attempting to show that there is an alternative to the “leftist” EU. 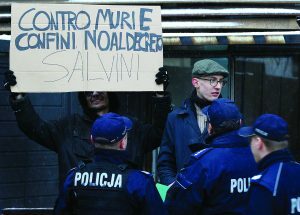 It is trying to create a new political-economic alliance of central European countries by entering into closer relations with similar populist governments in Hungary and Italy. These three countries are hoping that the next elections, to be held in May, will change the balance of power in the European Parliament in their favor. This difficult year, 2019, has only just begun, and already in January events have occurred that have shaken Poland. On Sunday, January 13, during a large public gathering for the country’s largest nationwide charity event, the Mayor of Gdańsk, Pawel Adamowicz, was fatally stabbed; he succumbed to his wounds early the following morning. Adamowicz was one of the most important local government leaders in Poland in the last 30 years. He was a well known and well respected politician. This fall, he began his fifth term as mayor of Gdańsk, a city he has overseen for more than 20 years, the cradle of the “Solidarność” movement. He had transformed this neglected port city on the Baltic Sea into a European metropolis, with much new development and important cultural institutions. 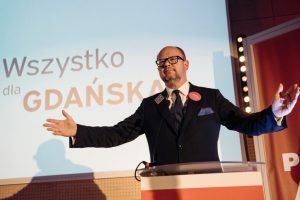 Adamowicz strongly emphasized Gdańsk’s multicultural history. He supported the local Jewish and Muslim communities, and strongly condemned all acts of racism, anti-Semitism and xenophobia, whether they occurred in Gdańsk or elsewhere in Poland. Originally a political conservative, Mayor Adamowicz became more and more liberal over time. Since 2015, he often criticized the manner in which PiS exercised power. As retribution, the authorities launched a negative propaganda campaign against him and filed lawsuits accusing him of financial malfeasance. The whole country was deeply affected by the death of Mayor Adamowicz and by the funeral service which took place in the Gdańsk cathedral. However, the shock that the murder evoked soon gave way to political disputes between the government and the opposition regarding what led to the crime. Based on the assassin’s own words, which he shouted immediately after the attack, it appears that he was politically hostile toward the Mayor of Gdańsk. It is already clear that Adamowicz’s shocking assassination will have a negative effect on the language of future electoral campaigns and will further deepen the social division that exists between those who support the current government and those who support its opponents. PiS came to power and maintains a constant level of support also due to its loudly-touted “moral superiority” to the opposition it defeated in 2015. PiS’s leader, Jarosław Kaczyński, created an image of himself and of his party as a group of people with an ideology of coming to power only to achieve a “good change” for Poland. In the electoral campaign, PiS strongly accused the former government of dishonesty and guaranteed a new government with no financial scandals. Meanwhile, there are more and more signs of corruption and abuses by the current PiS government. Gazeta Wyborcza, the chief daily that opposes the government, has just revealed secret recordings of business discussions in which Jarosław Kaczyński participated, and during which valuable Warsaw real estate is discussed. One can guess that the profits from these investments would fund PiS’s activities. This revelation casts a shadow on Kaczyński’s image as a politician of modest means and undermines the myth of his ideology-driven leadership. As a result, public opinion polls show a drop in support for the government and an increase in support for PO and other opposition parties. A loss by PiS at the next elections would probably lead to the dismantling of the ruling camp. 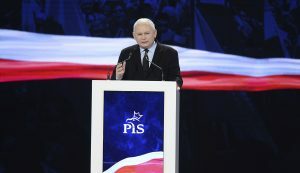 What binds it is the leadership of Jarosław Kaczyński. Kaczyński’s anointed Prime Minister, Mateusz Morawiecki, is in a weak position within the party and, after Kaczyński departs from active politics, he will certainly not become the new undisputed leader. The opposition will probably do more to further weaken his leadership and that of other PiS leaders. It will show voters that PiS are hypocrites, greedy for power. It looks like Poland faces a very difficult year, indeed.